BDI e-services are scalable to meet client client need including compatibility for all core banking and online banking systems. Ongoing innovations have helped keep this service on the forefront of e-delivery solutions with continued emphasis on viewability, marketing functionality and customer support. Documents may be composed and stored in HTML and/or PDF format depending on customer viewing preference. The latest generation of scalable HTML service includes storage of HTML and PDF formats in support of viewing, printing and download functionality. 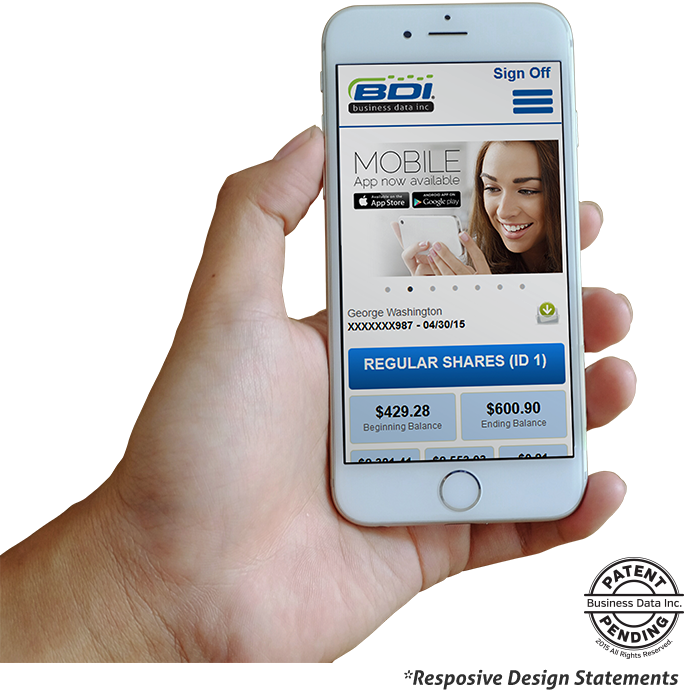 "Along with printing and mailing six separate statement jobs, BDI helped us introduce a new custom-designed statement, including eStatements, to our customers. The eStatements product included "cancelled check" viewing and the exact features we needed. This resulted in e-Branch becoming our fastest growing service product over the next year.